LONDON - Aegis has promoted Jerry Buhlmann, the global chief executive of its media-buying division Aegis Media, to Aegis Group chief executive. The move came as the marketing communications group revealed its annual results and announced plans to raise money for acquisitions. Buhlmann, who takes over the role from interim chief executive and chairman John Napier on 1 May, also retains his role as chief executive of Aegis Media. Aegis had been without a group chief executive for a year-and-a-half since the departure of Robert Lerwill. Buhlmann will be given increased financial flexibility and the potential for "bolt-on acquisitions" with the issue of a £175m convertible bond, according to the group’s annual results announcement. Aegis reported a 22% fall in its underlying pre-tax profits for 2009 and a 9.7% drop in full-year organic revenue, but said it expected modest growth in 2010. The group, which comprises Aegis Media and market research division Synovate, reported an operating profit of £170m, full-year revenue of £1.3bn, and a pre-tax profit of £149m. Aegis Media reported an operating profit of £150m in 2009, a fall from the previous year's figure of £157.9m. Napier said: "We performed well to meet market guidance in a tougher year than we initially expected. "We also strengthened our balance sheet and financial position, leaving Aegis well placed to meet the challenges of 2010, which we believe will bring modest growth." Aegis spent £12m on acquisitions last year after averaging £100m year for the previous five years. Buhlmann stated that future acquisitions will be focused on developing markets such as China, as well as the US and Europe. Buhlmann said: "We want to continue our strategy of 'buy and build' and our focus will be on developing markets." Napier and Buhlmann also ruled out any future tie-ups with Vincent Bollore, the chairman of rival Havas, who controls a 29.9% stake in Aegis Media. Buhlmann became Aegis Media global chief executive in May 2008, when he took over from Mainardo de Nardis. 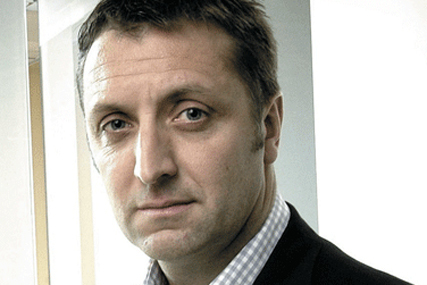 Prior to that, he was chief executive of Aegis Media EMEA for five years. Before that, he was chief executive of Carat International for three years, and also worked at Young & Rubicam, WCRS and the media agency BBJ, which was bought by Aegis in 1999.